Can you believe the exciting services Libraries Now offer? 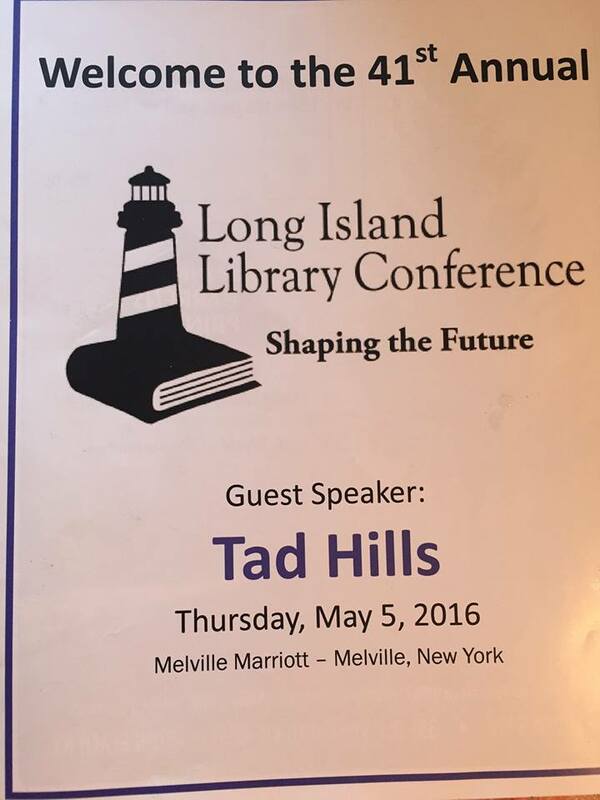 On May 5th, I attended the 41st Long Island Library Conference at the Melville Marriott. This annual event brings together librarians and other library staff members from both Long Island counties. Three workshops are offered during this day-long conference as well as a break for lunch during which attendees listen to a keynote speaker. There are also many exhibitors from vendors to library associations and groups that fill up the exhibit hall. I was impressed, as I have been at the previous conferences I attended, with the many volunteers who helped organize, run, and man the tables at the event. I found the workshops enlightening and inspiring and was again proud of being a librarian in this day of fast answers by Google and Siri. Below is the report I wrote about the conference that I feel will be of interest to not only library employees but library patrons. The conference was appropriately titled, “Shaping the Future,” to emphasize the new role of today’s libraries that has shifted from a place to borrow books to one of a community gathering space featuring programs, services, and materials that support people of all ages, incomes, and interests. If you don’t currently have a library card or make use of your local library, I urge you to read my report and consider the variety of new services libraries now offer. There’s something for everyone, and the workshops I attended just addressed three of the multitude of offerings. Check the ones that are available at your own library or request some you’d like to see. Libraries are always open to patron suggestions. The first workshop, sponsored by the Half Hollow Hills Library, was entitled Crowd-Pleasing Memory Programs. It entailed a description of the four memory-themed programs the Half Hollow Hill Library offers its patrons and the Long Island Community and also included many informative handouts. The presenters were Catherine Given, Virginia Pisciotta, and Kate Anastasia of Half Hollow Hills Library. They stressed the feelings of accomplishment these programs gave them and the importance of serving the memory-challenged community on Long Island. Nationwide, Alzheimer affects 5 million people and is the 6th leading cause of death killing 1 in 3 seniors. The four programs featured at Half Hollow Hills are Memory Fitness, Memory Café, Music and Memory, and Alzheimer’s Association 8-week programs. The library markets these programs through releases sent to neurologist offices, churches and Jewish centers, Assisted Living residences, through word of mouth, and by announcements in the library’s newsletter. The Memory Fitness program takes place weekly at the library. Run by Ginny Pisciotta, this program allows those with memory difficulties to challenge their brains through puzzles, games, and other activities. The program attendees are seated at tables to encourage social interaction which is also very important for these people. The cost to start this type of program is not high, approximately $200, and many materials can be borrowed from the library’s children’s or YA departments. Half Hollow Hills also has a collection of memory-related materials that can only be used by their patrons. The Memory Café meets monthly at a local restaurant. The LI Chapter of the Alzheimer’s Association pays for the restaurant’s buffet in a room provided free by the owner. Participants eat, dance, and sing along to CD’s. Last month, the library had 50 participants. Music and Memory is a program whereby the library offers lifetime-loaned iPods for patrons’ family members affected by dementia. These iPods are loaded with a playlist of the memory-challenged relative’s favorite tunes. The material costs are $49 plus $3 for headphones. Alternately, a library can launch a donation program. The 8-week early-stage Alzheimer’s workshops are conducted by the Alzheimer’s Association at libraries that have two rooms available. One room is used for caregivers; the other for Alzheimer patients. While the Alzheimer patient attends a recreational program similar to the Memory Fitness one given by Half Hollows Hill staff, the caregiver attends a support group by the Alzheimer Association’s Program Director. The second workshop I attended, Serving the Business Community, featured speakers from the Miller Business Resource Center at the Middle Country Public Library and the Business Resource Information Center at Freeport Memorial Library. The purpose of a library targeting its business community is that small business is crucial to the economy; the library can build its brand with different groups, new groups of people look to start businesses, it can fill a niche, and there will be new funding opportunities. The business community needs one-on-one assistance (owners come in to ask questions); free resources; and subscription databases. A business blog is also helpful. The program described some of the programs Middle Country and Freeport offer to the business community. The speakers mentioned that while it is not necessary for every public library to have a dedicated business center, libraries should all be prepared to help the local business community, new entrepreneurs, and job seekers. A library can make a small physical space and/or an online space for their business patrons. The Miller Center uses LibGuides, the Reference USA database that it highly recommends along with Business Source Premiere and Gale Virtual Reference. They also have a business blog. Two interesting programs that were discussed were the Miller Center’s Business Bites program and a Trade Show event. The Business Bites program is a 45-minute workshop for business people at hours that are convenient for library staff and patrons. The Middle Country Public Library conducts these workshops before the library opens and before busy people need to get into work. Other libraries may find an evening or weekend program would work better for their communities. The workshop can feature topics of interest to business people such as social media marketing on Facebook, twitter, and other platforms. Librarians can run some or an hire a presenter from an outside company. The Brooklyn Public Library also offers this program. 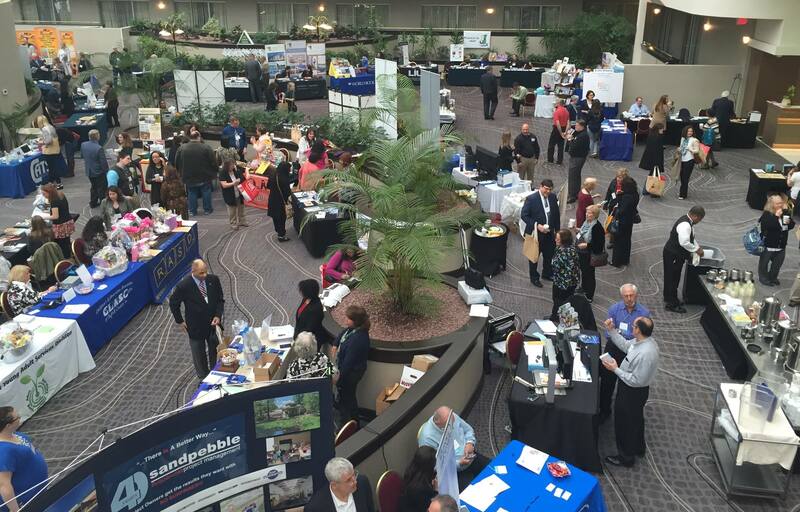 The Strictly Business Trade show that Middle Country just began takes a lot of work, but they’ve had a good reaction to it even though it’s in its early stages. They hold the show at the library between 9 and 1 on a Tuesday and include breakfast with admission. Their previous show included 100 vendors and 800 attendees. They had a speaker from the Long Island Library Association and distributed evaluation forms for feedback which was quite positive. This program was presented by speakers from the New York Public Library, Darien Public Library, and Queens Public Library. It focused on how library staff can recommend books to readers all over the country through a program called LibraryReads. The presenters explained the process of registering as a public library staff member with LibraryReads, requesting digital ARC’s (Advanced Reader Copies), and nominating their favorite titles. The object of the program is to increase a library staff member’s awareness of new books. There are several advantages to becoming a LibraryReads reviewer. 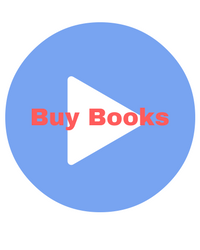 One is that it will enhance a library’s reader’s advisory services because books that are included in LibraryReads do not need to be by well-known authors or big publishers. 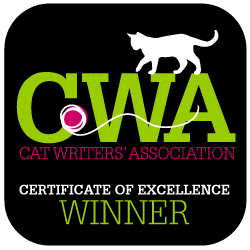 The source for these selections are found through Edelweiss and Net Galley that feature debut authors as well as small and independent publishers. Another benefit to reviewing on LibraryReads is that your review may be featured in newspapers and other nationwide publications. After the presentation on LibraryReads was complete, the floor was opened up to a discussion by participants regarding other ways they promote reader’s advisory at their library. I spoke about our monthly staff picks newsletter where we feature debut as well as popular authors and the fact that those books reviewed see a high circulation rate. Other libraries use other methods such as shelf talkers, book discussions, and displays. Besides the workshops I attended, I also listened to the keynote speaker, Tad Hills, a Children’s author known for his books featuring duck and goose the mascots of the conference, and gathered some handouts and other materials from library vendors and associations on the conference floor I felt would be useful information to myself as well as my co-workers. Attending the conference made me realize how much my profession is growing and how much it offers to people both those who visit and those who log in from home. 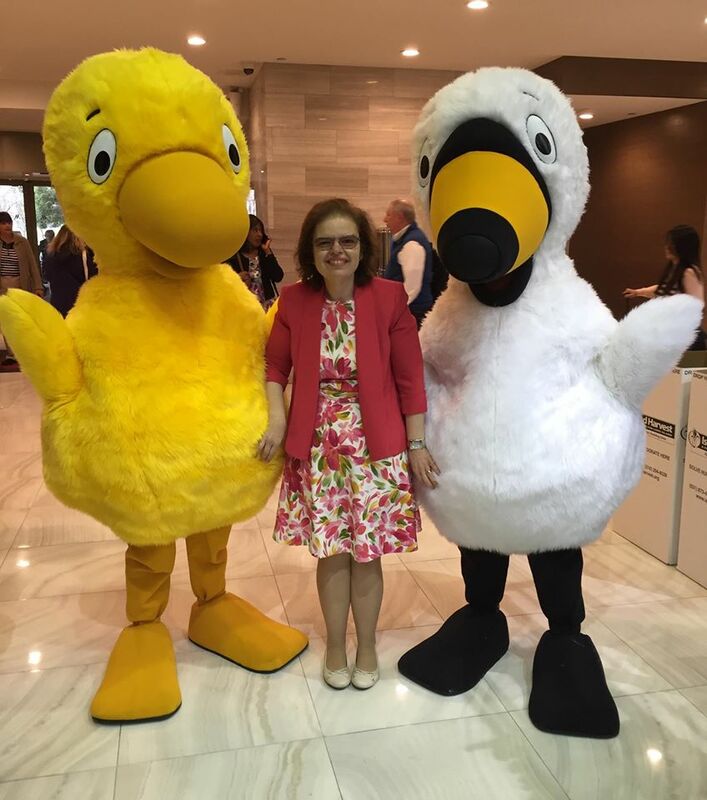 These new programs and services are not restricted to Long Island libraries. Libraries around the country and the world are adding new services and programs every day.